208 color(s) to choose from! 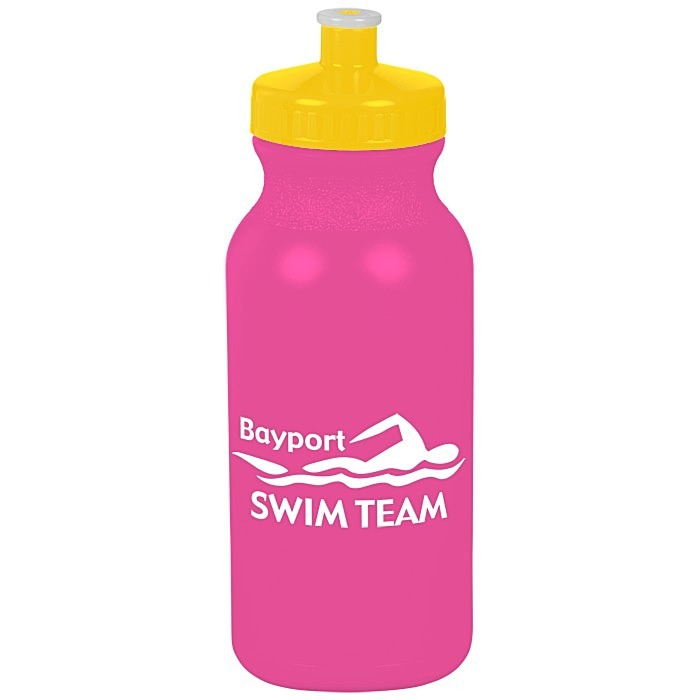 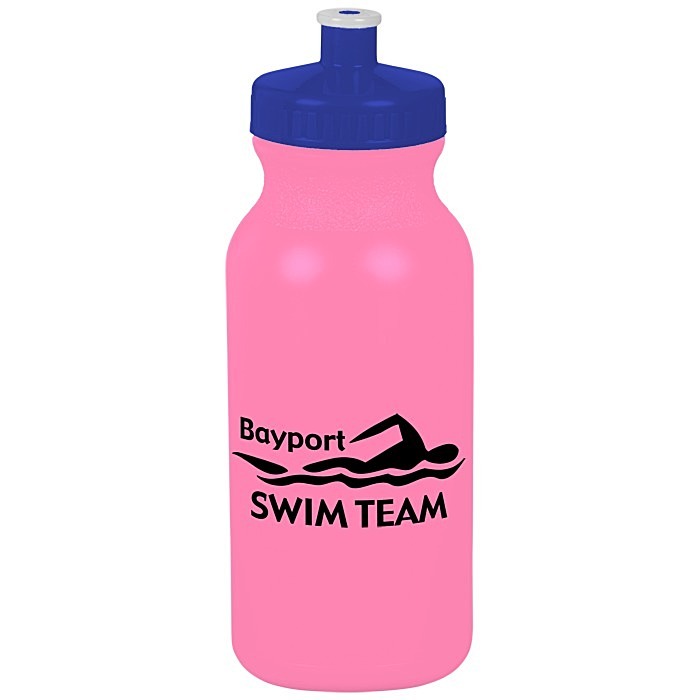 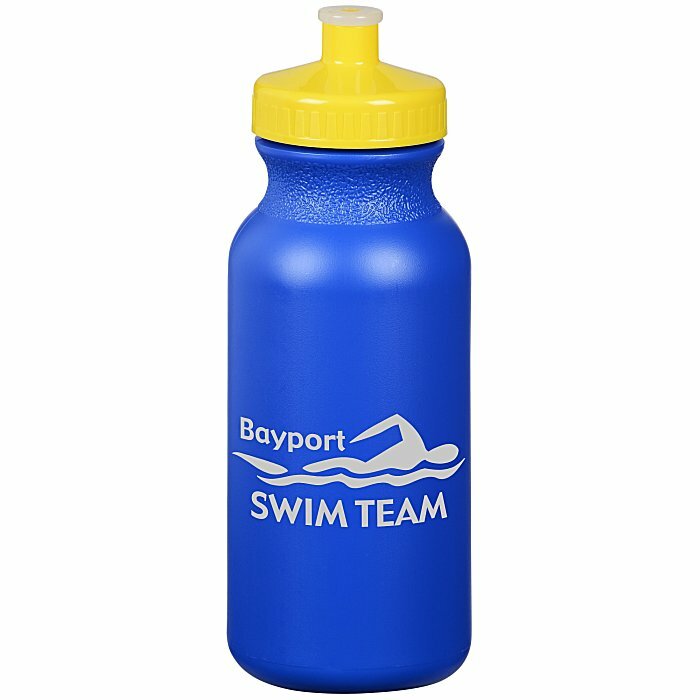 This colored 20-oz HDPE plastic sport bottle is available in an array of lid/body color combinations. The push/pull spout on the screw-on lid keeps water from spilling out during your trek and also provides for one-handed drinking ease. This imprinted BPA-free sport bottle is made from #2 plastic, which can be recycled in most areas; check locally for more information. Your price includes the same one-color imprint on both sides of the plastic sport bottle.